Find out more about common procedures your dog should have done - and a few you should avoid. Spaying and neutering involves removing or making inactive an animal’s reproductive organs so he or she cannot reproduce. It is the best way to reduce pet overpopulation as it stops animals from having unwanted litters. All dogs adopted from PAWS Chicago have been spayed or neutered. A microchip is a tiny chip about the size of a grain of rice that is injected under your dog’s skin between the shoulder blades near the base of the neck. It never needs to be replaced and will remain active for the lifetime of your dog. The chip has no battery and emits no signal; it simply has a unique identification code. After adopting your dog, be sure to update your contact information with the company that manufactures your dog’s microchip. Should your dog become lost, a quick wave of a microchip wand reads the identification number assigned to your dog so he can be reunited with you. 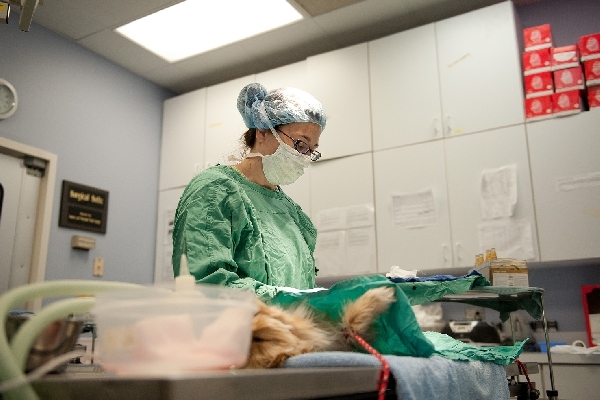 These procedures are not necessary to the health of a dog and are considered to be inhumane. Tail docking involves amputating the dog’s tail at varying lengths for aesthetic reasons. Dogs’ tails have many useful functions from aiding in balance to body language and cutting through sensitive nerves on the tail detracts from these functions. 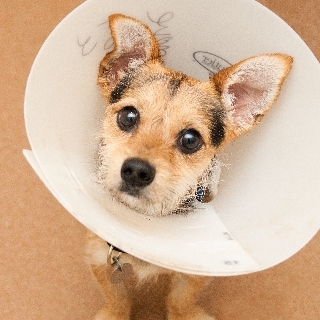 Ear cropping refers to the practice of reshaping a dog’s ears surgically. Cartilage and nerves are often cut and the ears are painful throughout the extensive healing process. De-barking is when the vocal cords are removed in an attempt to soften an animal’s bark. In removing the vocal cords, complications are not uncommon and may require additional surgeries to repair. Working with trainers to address the behaviors leading to barking is far more beneficial to the animal.